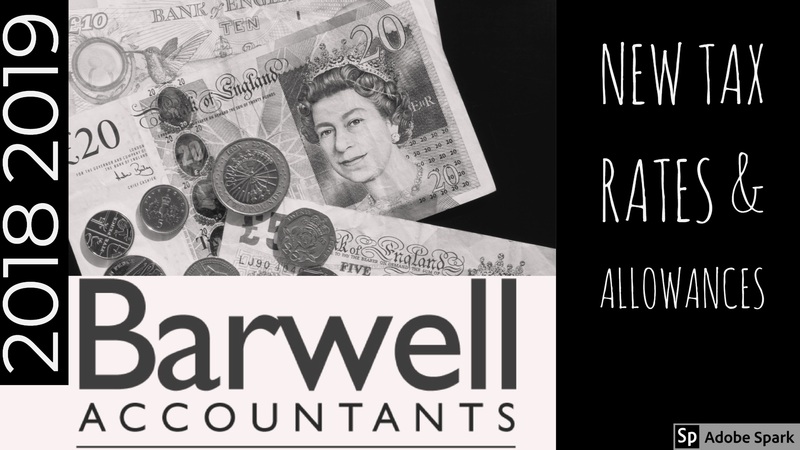 We are approaching the 2018/19 tax year and hence new tax rates and rules will be coming into force. From 6 April 2018 the threshold for National Insurance contributions has increased to £8,424 per year (£702 per month; £162 per week). Employees deductions are taken at a rate of 12% whist employers are taken at 13.8%. The Employer Allowance remains at £3,000 for the 2018/19 tax year, this can be set against an Employers Class 1B liability. Class 1a National Insurance on employee expenses and benefits remains at 13.8% for the 2018/19 tax year. Student loan deductions are taken at a rate of 9% once the employee is earning £18,330 per year (£1,527 per month; £352 per week) if they are on Plan 1 or £25,000 (£2.083 per month; £480 per week) if they are on Plan 2. The rules for the first 6 weeks of SMP or SAP remain the same at 90% of the employee’s average weekly earnings. The rate for which SMP, SPP, SAP and ShPP is paid after the first 6 weeks has increased to £145.18 or 90% of the employee’s average weekly earnings, whichever is lower. Statutory Sick Pay (SSP): The weekly rate for SSP has increased to £92.05. The rate at which MAPS are paid to employees (for using their own vehicle for business journeys) remains at 45 pence for the first 10,000 business miles in a tax year then 25 pence for each subsequent mile. You do not have to report the approved MAPs to HMRC, anything above the approved rates would be reportable. The rate of Corporation Tax remains the same at 19%, whilst the capital allowance rates also remain the same for plant and machinery at 18% for main rate expenditure and 8% for special rate. The Annual investment allowance also remains the same at £200,000.